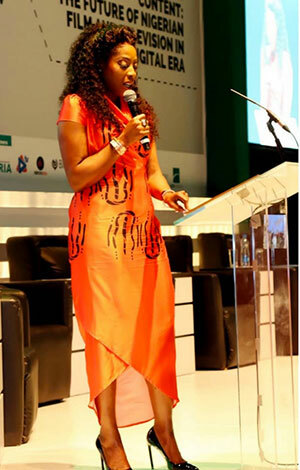 In a speeech to the Creative Nigeria Summit, EbonyLife TV CEO Mo Abudu, the ‘Oprah of Africa,’ revealed her company’s strategy and ambitions. Mo Abudu is referred to as the Oprah of Africa, or as Africa’s most successful woman, according to Forbes Magazine. These epithets are unsurprising as she constantly proves her prowess and dedication to her role as CEO of EbonyLife TV, the first pan-African TV channel owned by an African woman. In her speech at the second edition of the Creative Nigeria Summit this week, she took us through her journey of the past five years as CEO of EbonyLife TV and gave hints about what to expect from future projects, also giving a detailed account of the drama deal between EbonyLife and Sony Pictures Television. First and foremost, I would like to thank the organisers of the Creative Nigeria Summit for creating this platform for our sector – the media and entertainment sector, the creative sector, the sector of show business. Congratulations on hosting your second summit. The creative sector is wide and vast and includes so many sectors and sub-sectors, but I will simply focus on what I’ve been asked to speak about today, The Creative Vision and Process Behind Global Drama Hits. We cannot speak about the creative vision and process behind global drama hits without making reference to global leaders in this space. I would therefore like to share with you a short summary of the most watched shows by some of the largest streaming platforms. To start with, let’s talk about Netflix. Now, let’s move on to Amazon. The Man in the High Castle is a history series that offers a scary glimpse at an alternate history in which Hitler won World War Two. Second, One Mississippi is a comedy series about a radio host who returns to Mississippi after receiving news that her mother will be taken off life support. Third, The Tick is a series based on a superhero in a blue tick costume who arrives in the city to help combat crime and uncover the mysterious figure behind the city’s underworld. Another major streaming giant is HBO, which we’re all familiar with. Game of Thrones is an epic TV series about the tale of royal feuds, dynastic conflict and the struggle for ultimate control in the Seven Kingdoms of Westeros. What is important to note is that I have taken the liberty to include EbonyLife ON as a future global giant. Because we believe in global best practices. Two weeks ago, we launched EbonyLife ON across the continent, a video-on-demand service that allows subscribers all over the world to watch our treasure trove of content for a nominal fee. Since then, we have witnessed nearly 10,000 downloads from our Apple and Google app stores, and our web portal numbers are well over 10,000. 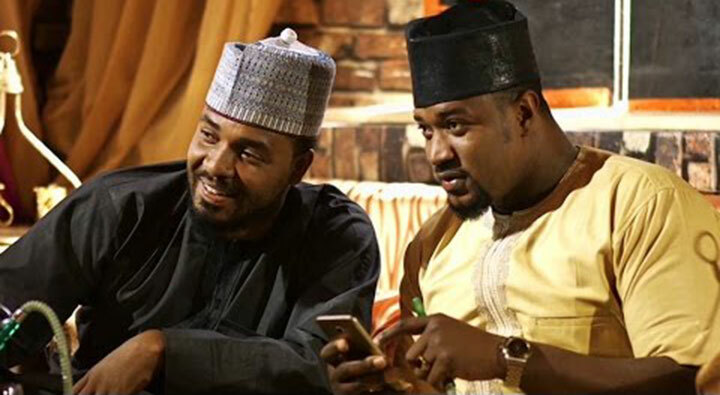 Castle & Castle, a legal drama series set in a successful Lagos law firm run by Remi and Tega Castle. Will the marriage survive the business or will the business survive the marriage? The Sons of the Caliphate, a drama series about the lives of three rich, entitled, passionate and ambitious young men. It is a journey into the rich cultural and flamboyant aristocratic Northern Nigerian lifestyle. Fifty: The Series, which follows the lives of four women who are forced to take mid-life inventories as ambition and betrayal threaten their relationships. Globally, it’s all about the ratings and not sentiment. From what we can see, it’s all about science-fiction, like Game of Thrones; Murder Mysteries, like 13 Reasons Why and Romance, like our very own Castle & Castle. So, who decides on setting the creative vision and process? The showrunner. The showrunner is the 21st century term for the leading executive producer of a Hollywood television series in the US. The concept has since been adopted in the Canadian and British TV industries. A showrunner typically has creative control of a TV series production, through combining the responsibilities of the head writer, executive producer and script editor. In order for this vision to become a reality, the showrunner sets up the writers’ room. The writers’ room is the room in which the showrunner and the writers of a television series collaborate on the plot and develop the script. All writers are expected to participate in the pitching process, speaking up and offering their ideas or listening to everyone else’s pitches. This is where episodes are sliced up for individual writers to develop. I personally believe the ‘beat sheet’ is one of the most important elements in this process. This is what we as Nigerians and writers across the continent need to spend more time on. A beat equates to about a minute of show time and there is roughly one page of script per beat. I would suggest further research in this area. Looking at the work of Blake Synder, an American writer who has developed what is known as a BeatSheet Calculator. According to Snyder, every good script should have a certain structure. There is a lot information online about this process and it’s one that we need to adhere to if we want our stories to be stronger, captivating, entertaining and leave your audience wanting more. Talking about leaving your audience captivated, entertained and wanting more – even if I say so myself – we achieved this with The Wedding Party. Using global best practices was key to our process. I’d like to share a few key lessons on The Wedding Party franchise with you. The audience should be able to relate to the story and characters. What we found with The Wedding Party is that it didn’t matter where you were from, how old you were, or your religious background. We’re all able to relate to this story. As we all know, The Wedding Party is an everyday story about a couple’s big wedding plans that turn into a nightmare that includes exes, fighting parents and uninvited guests – most, if not all of us can relate to this. To ensure our audience can relate to the characters in our script, we spent a great deal of time casting. We looked at the current relevance and social media following of all the actors. The use of A-list actors for The Wedding Party played a huge role in ensuring its success. The next step was to bring a director on board with a clear vision to guide the cast and crew. Experienced crew for photography, sound, lighting and music were all critical. I cannot over-emphasise the importance of marketing. With enough time for marketing, you can create anticipation for a film. The Wedding Party began publicity six months before its cinema release, hence the various records broken by The Wedding Party 1 and 2. In fact, we started marketing the film from the first day on set. Every day during production, we shared the process with our audience with posts on social media and clips from the most interesting behind the scenes moments. Screenings at festivals around the world position the film in the world market and attracts buyers. The world premiere of The Wedding Party took place at the Toronto International Film Festival. Getting into an international film festival is in itself another process. We were excited that we had a sold-out premiere with over 1,400 people from all over the world. This event really helped with publicity in social media, blogs and print. And as you know, we have the largest movie premieres in Nigeria that could have been held anywhere across the globe. From our red carpets, to our dress code, to our themed events, to VVIP list as long as my arm. From the ‘save the dates’ to the invites to the entertainment and dinner, to the after-party. Generally, all the razzmatazz and paparazzi. This makes for the most glamourous event, we know, as Nigerians we love glamour. This adds to building anticipation of the cinema release. The Wedding Party was released in the run-up to Christmas, allowing for mid-week afternoon shows to be sold out. We hosted media screenings to help to get mentions of the film out in advance. Once we were in the cinema, we hosted meet and greet events with the cast. We kept our audience excited about our numbers in the box office from week to week. Last, but not least, I’d like to talk about our partnership with Sony. Just five months ago, we finalised a three-project production deal with Sony Pictures Television and became the first African production company to partner with a major Hollywood studio. Years of development was put into this particular project that Sony chose – major lesson for us – we must also put in the work and be ready. Finally, I’d like to talk to you about EbonyLife TV. We recently celebrated our fifth anniversary on July 1. We restructured our business to focus on four key areas. We were able to do this because of the lay of the land and the opportunities that we have found in Nigeria over the last six years. I say six years, because we spent an entire year creating programmes before we launched the channel on July 1, 2013. Prior to that an additional four years on conceptualising the brand you now see. So, a 10-year journey. EbonyLife TV, our linear channel, broadcasts on DStv 165 and StarTimes 107 and 191 in Africa, and on Flow in 10 Caribbean countries. With the creation of EbonyLIfe TV, we realised that African audiences want to see themselves in their own stories, on television and at the cinema. They want to see an African narrative that reflects their own struggles and triumphs, the closeness of their relationships and the progress being made in their emerging societies. We were tired of being portrayed in perpetual crisis: war, famine and corruption. We decided to change that narrative. We know how important it is to continue to change the narrative. 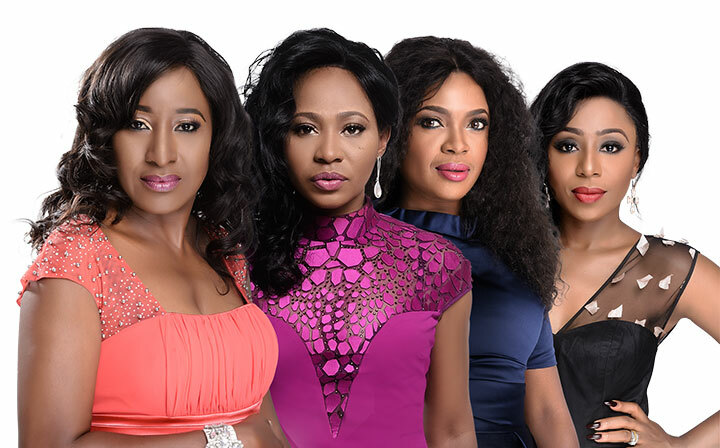 We started with TV and within a year of launching EbonyLife TV, we launched EbonyLife Films. We have produced the biggest films in Nollywood to date. They include Fifty, The Wedding Party movies, Royal Hibiscus Hotel and our new December film, Chief Daddy. We recently acquired the rights to Professor Wole Soyinka’s play Death & the King’s Horseman. We see this as a global feature film release and we are hard at work on bringing this to the world of global cinema. EbonyLife Studios is a film production service for in-house projects and third-party clients. We have seen this need grow over the years – a need to service our own productions and that of other commercial organisations requiring the production of events, infomercials, commercials and other video generated content. EbonyLife ON is our global video-on-demand (VoD) digital service for viewers who want to enjoy high-quality series and movies at their convenience. This expands our reach dramatically, beyond satellite TV platforms. Now, anyone with an internet-connected mobile device can watch our content, no longer constrained by TV schedules or expensive monthly subscriptions. We are pleased with the numbers we have seen so far – we have nearly 10,000 downloads. This is with little or no advertising, and just shows the potential of the market and the potential within the market. Research tells us that by 2023 that there will be 10 million SVoD subscribers across the continent of Africa, with the most growth coming from Nigeria and South Africa. The opportunities within our SVoD and digital market are still early stage with no winners at the moment. We believe the companies with the best content will ultimately win – keeping the consumer in mind and his or her preferences for programming. This is the most exciting part of our business as we believe everything we do is tied to growing into a media tech company. EbonyLife ON Mobile is a partnership with MTN, Airtel and 9 Mobile. Mobile communications technology has allowed Nigeria to leapfrog into the future with the widespread use of smartphones. Rapidly increasing bandwidth is creating a brand-new landscape for video content producers like us. We work with these telcos on specific special offers – data packaged along with an agreed piece of EbonyLife branded content. Our dream is to continue to create premium content and ensure that we are able to distribute this content to the world using the best of technology, giving everyone the opportunity for a limited amount an opportunity to join our world and share our story with audiences across the globe. My personal philosophy is: “If you can think it, you can do it.” So, when others look at Nigeria or Africa and see challenges, I see opportunity – lots of it. If you can help to solve the problems, the rewards are great. 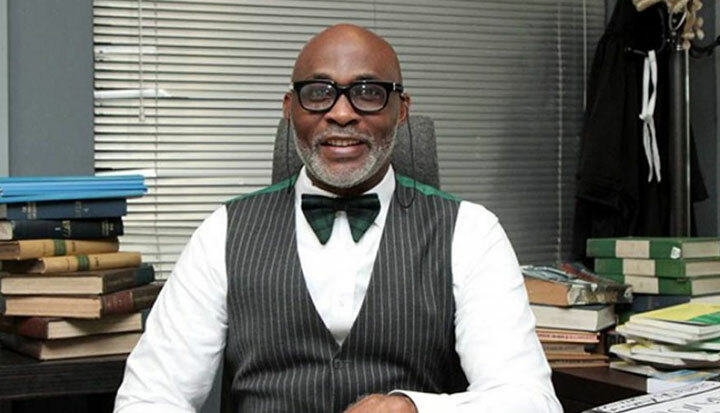 In a brief Q&A with Africa MediaWorks CEO Lindsey Oliver, Abudu later opened up about how it all started, stating: “I’m a very spiritual person and I believe everything happens through the guidance of God. “We started at Cross River State. I remember being invited to Calabar by a good friend of mine, meanwhile, as that was happening, one of my sponsors was demanding that I get on social media and threatening to drop Moments with Mo if I don’t. So, I got on social media, sent a tweet saying how much I enjoyed being at Calabar and got to meet the governor. These things didn’t happen all at once but I felt it was preordained.